Come join us on Friday,15 February for our monthly official event! 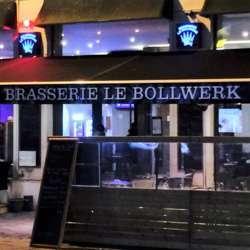 We'll be checking out another new bar/restaurant in the city center, Brasserie Le Bollwerk, located right in front of the Porte Jeune tram stop. For those who wish to eat, they offer tarte flambées, burgers, salads and a variety of other options.